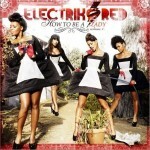 Electrik Red is an R&B girl group comprising Kyndra "Binkie" Reevey, Lesley Lewis, Naomi Allen and Sarah Rosete. The members began their individual careers as back-up dancers in New York City and Toronto. The group formed in 2005 and signed with Def Jam Recordings in 2008. Their music is mainly written and produced by songwriter The-Dream and his production partnerTricky Stewart. Electrik Red is made up of two sets of childhood friends, Reevey and Lewis from New York City and Allen and Rosete from Toronto. 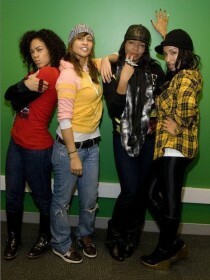 While working as back-up dancers for Usher in his 2004 Confessionstour, Reevey and Lewis asked Rosete if she wanted to be a part of their girl group. Rosete agreed to join, but requested that they meet her best friend, Allen, who they "fell in love with" and invited to join as well. The group moved to Los Angeles, where they began working with different producers, including Shannon "Slam" Lawrence and Rodney Jerkins。 The quartet officially convened as Electrik Red in 2005.